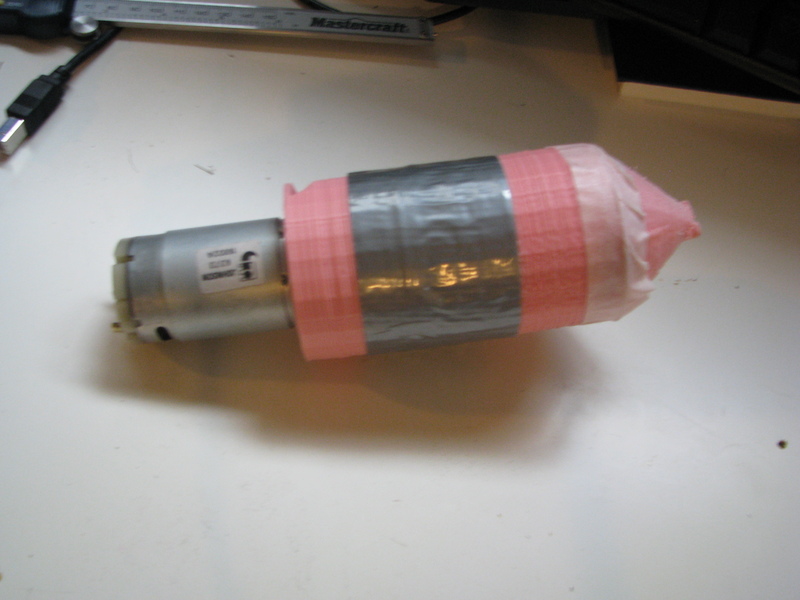 RepRap: Blog: Print a Vacuum Cleaner! Ever wanted to print a vacuum cleaner? Well, now you can! I've designed a printable hand-held vacuum cleaner that works (to some extent, at least!). Build instructions are on my blog here with lots of pictures. You can also skip to the youtube video or github. Update: I've also posted to thingiverse and the RepRap wiki. this would be an awesome addition to Thingiverse! I hadn't done that because I didn't want to get drawn into the whole Thingiverse vs RepRap wiki issue. In any case, I've now posted it to both, which should also work.